Finding a ride to dinner is a breeze, ever since ride-share services like Uber and Lyft pulled up to the curb. But finding a trained expert to take you on a backpacking tour through the mountains? Not so easy. Enter Lyfx (pronounced life-x), an app that launched this summer with the promise of getting you off the grid safely, with the help of a registered expert. Based in Santa Monica, the app’s network of activities currently extends through Utah and Colorado (and in the coming weeks, California). Simply choose your adventure and let Lyfx go to work. Whether hiking, camping, cycling, surfing, photography, or acro-yoga is your jam, there’s a guide and an excursion for you. So dedicated to adventure is CEO and founder Pedro McCardell that he rode his motorcycle from Brazil to Silicon Valley last year to raise funding for the company, researching treks and meeting expert guides along the way. “Travelers want an adventure that’s more personal and unique, something to talk about for years to come—not an ordinary touristy routine,” said McCardell in a statement. Finding an adventure on the app is easy. You can search either by region (or state) or by your favorite activities to find the expert, the adventure, and the itinerary right for you. They’ll even let you know up front what kind of gear you need, so you won’t find yourself in the snow without your long johns. On the flip side, the app is also a way for outdoor enthusiasts to build handcrafted itineraries of their favorite destinations to share with curious travelers. Simply apply through the app, and once approved as a “local expert,” you’ll have the chance to create your own excursions and set your own price and schedule. Just like on Airbnb, users can pay through the app and also leave reviews of their local experts and their adventure. 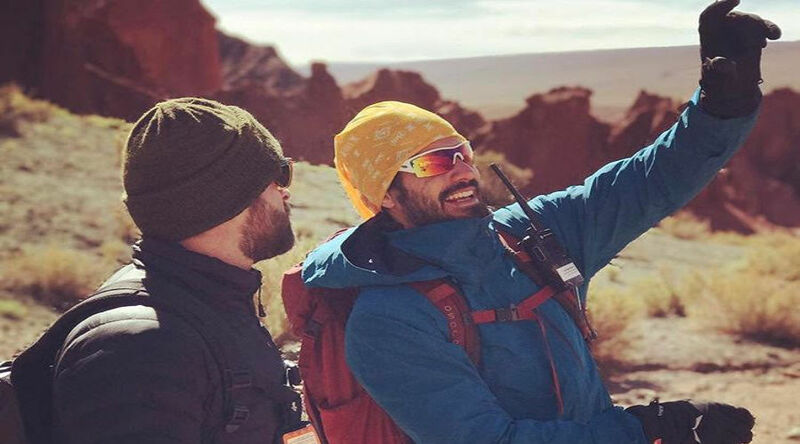 Though there are 200 adventures currently offered in Utah and Colorado (with California coming soon), Lyfx says they plan to eventually introduce adventures across the country, and even abroad.